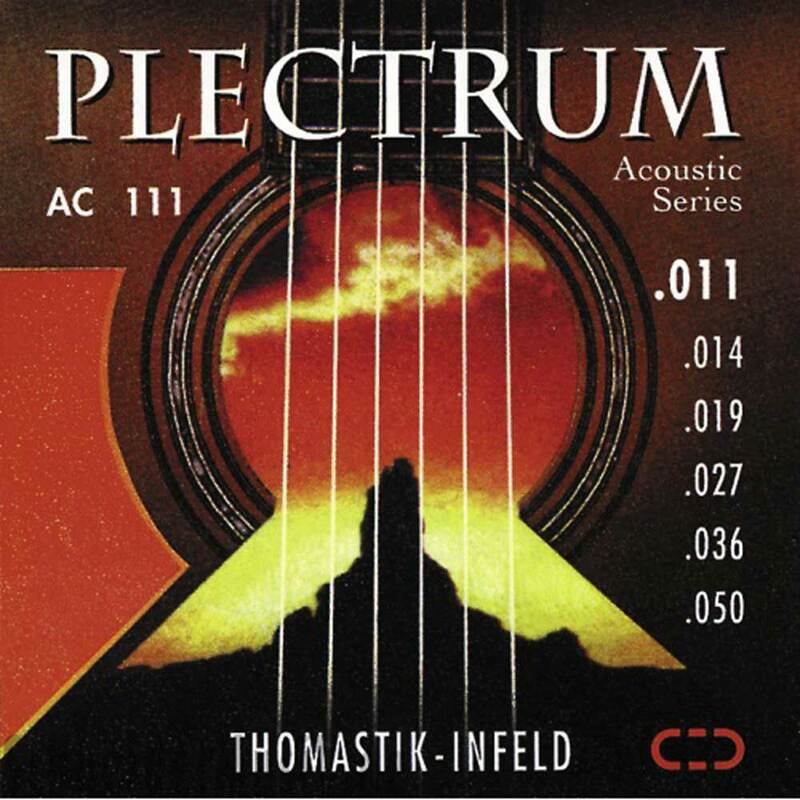 PLECTRUM AcousticSeries are soft sounding strings for acoustic guitar withlow tension on the bottom end. The plain strings are made of brass-plated steel. The wound strings have asilk inlay in combination with a highly flexible steel core, they are polished bronze flatwound or polished bronze roundwound.